Described by her adoring public as jazzy, soulful, classy, dynamic and smooth, Kei Dubb is a refreshing artiste, whose sensual vocal sensibilities & charisma on stage and in her studio ... Más informaciones compositions has set her firmly on the path to distinction. So broad are her giftings as a Singer, Composer and Producer, that the word phenomenon quickly springs to mind. 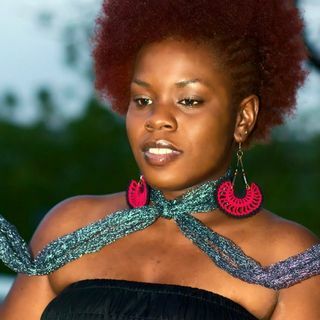 Kei‘s unique blend of Neo-Soul, Reggae and Pop genres, and her vocal licks, has her drawing comparisons to the likes of Sade, Janelle Monnae, Jill Scott, Tanya Stephens, Karen Smith and the legendary Nina Simone, with many listeners referring to her as a Reggae, Jazz, Soul & Pop music love child. Kei Dubb effortlessly fuses a myriad of genres and utilises vocal swings to create a style that is distinctly hers.